Do you need more information for your customer support system? 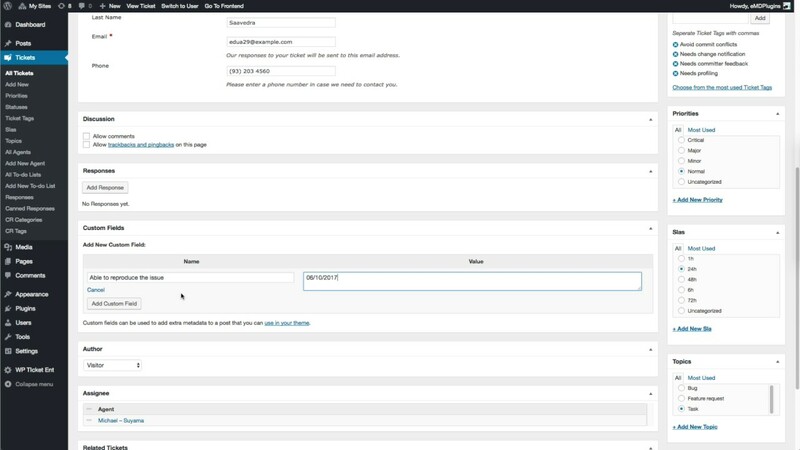 WP Ticket lets you add custom fields to your tickets and agents easily. Custom fields are displayed in the Details tab of agents or tickets. Custom fields can be added in search or submit forms(Pro and Enterprise editions only). Update or delete custom fields per agent or ticket basis.